Lynda B. Munro, Connecticut Superior Court Judge (Ret.) is a member of the firm's Alternative Dispute Resolution (ADR) and Family Law practices. Her ADR practice focuses on resolution of family and civil disputes. She serves as a mediator, arbitrator, discovery master and private judge in civil matters and financial, custody and parenting disputes involving families and children, pre-nuptial agreements and post-nuptial agreements. Former Judge Munro retired in 2014 after 20 years of distinguished service on the Connecticut bench. Most recently, Judge Munro served as a Presiding Judge for the Family Division of the New Haven Superior Court. She served as Chief Administrative Judge for Family Matters from 2008-2013 and Presiding Judge of the Regional Family Docket for seven years. She has assisted parties and counsel in resolving hundreds of couples and high-conflict family disputes. Judge Munro has extensive experience in the area of civil matters. She has sat on the Complex Litigation Docket, special proceedings, jury and court trials. She both tried and mediated a wide array of tort and contract cases including commercial disputes, medical malpractice, legal malpractice and trade secrets matters. Additionally, Judge Munro was an affordable housing judge for many years. Judge Munro also is an American Arbitration Association (AAA)-qualified arbitrator. Judge Munro is the only active mediator/arbitrator who sat on both the Complex Litigation Docket and the Regional Family Trial Docket in Connecticut. Because of her years of writing and trying cases to the bench, she is particularly well-suited to our Appellate practice. During her judicial career, Judge Munro heard cases in the Meriden, New London, New Haven, Hartford, Waterbury, Middlesex and Stamford-Norwalk judicial districts. Before being sworn in as a Superior Court Judge in 1994, Judge Munro spent 15 years as a private practice attorney representing municipalities, individuals and business entities in municipal, land use, civil and family matters. The former chair of the Judicial Education Committee, Judge Munro taught classes in civil, general and family law to the Superior Court Bench for more than 10 years. 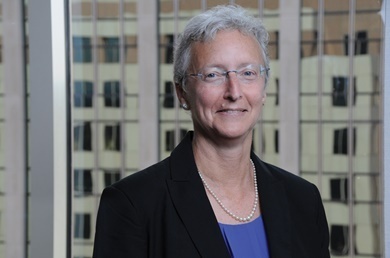 She also taught numerous courses through the Connecticut Bar Association, the New England Bar Association, the Connecticut Chapter of Matrimonial Lawyers, the Connecticut Trial Lawyers Association and many other organizations, consortiums and associations. For the past six years, she has been an adjunct law professor at Quinnipiac Law School. In addition, she provides training in best practices in ADR to law firms. Judge Munro serves on the editorial board of Family Law Quarterly, a publication of the American Bar Association. She is a Trustee Emeritus of Connecticut College and was recently awarded the Connecticut College Medal, the highest honor the College can confer, for her accomplishments and service.